Scrapbook sayings can be little saviors to your journaling block. Scrapbooking sayings are also wonderful as page titles. Anytime you’re stuck for words, don’t know what to write for your titles, look to these free sayings for a little help. With a big collection of sayings to your rescue, you don’t have to worry anymore about running short of titles or phrases to express yourself. Now you don’t have to put aside your almost-completed layouts hoping the right expression will come to you soon. 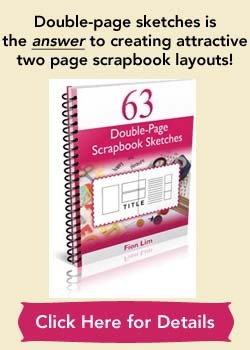 You can just browse through the many sayings and expressions covering a wide range of topics, to come up with the perfect page title or little saying for your scrapbook page. Happy searching for the right saying! 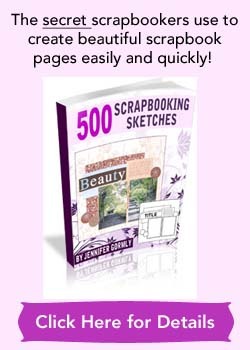 Over 6,000 scrapbooking sayings in many categories such as amusement park, angels, baby, bath time, ocean, camping, dress-up, haircuts and many more. Be sure to check out this site for all the cute and funny sayings you could use to dress up as page titles or sayings for your scrapbooking pages. Over 1,500 sayings arranged in alphabetically order for all your craft projects. You can also use their search box to search for the keyword you’re looking for. These free scrapbook sayings are totally apt as page titles or simply as phrases for your scrapbook layouts. Many sayings in many categories so you’re bound to find some great sayings for your scrapbooking projects here. There’s sayings for aquariums, arts & craft, circus, dirt and mud, heritages, moving, military, pregnancy and many more topics. Don’t want to go online to constantly search for sayings or phrases? You can have the convenience of a resourceful e-Book (for immediate download to your computer) filled with over 5,000 phrases, titles and captions especially compiled for scrapbookers. I would recommend you to check out “Lasting Expressions (e-Book)”.